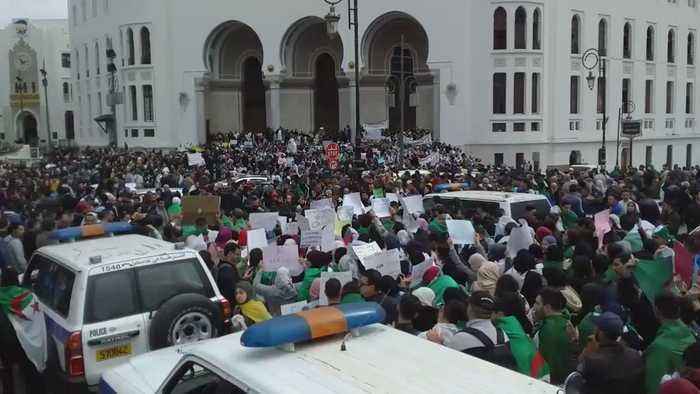 Protesters in Algiers, including students, teachers, doctors, and lawyers, rallied on March 19 against President Abdelaziz Bouteflika’s decision to extend his fourth term, local media reported. 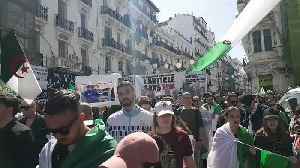 The protest took place on the anniversary of the end of the Algerian War of Independence, known as Victory Day in Algeria, local media reported. 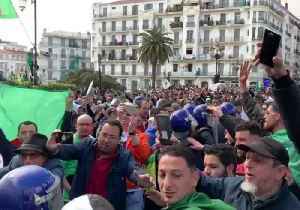 On Tuesday, the deputy prime minister of Algeria said Bouteflika was ready for an open and transparent transition of power when the next president was elected, state media reported. 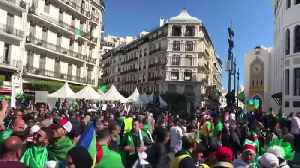 Bouteflika said in March that the elections, which were due to take place in April, would be postponed. 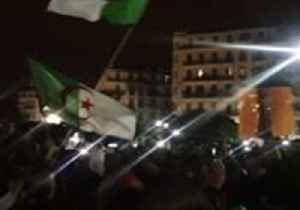 Bouteflika has been in office since 1999 and recently turned 82. 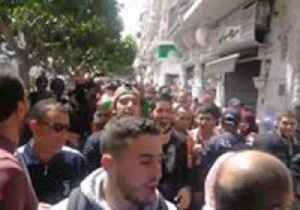 This footage shows protesters gathered outside the Grand Post Office in Algiers. 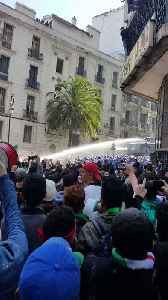 Police fired water cannons into crowds of protesters near Place Maurice Audin in Algiers, Algeria, on Friday, March 29, after demonstrators threw rocks, according to an eyewitness. Video posted to..